At ImpactECON our focus is economic modeling which provides insight. 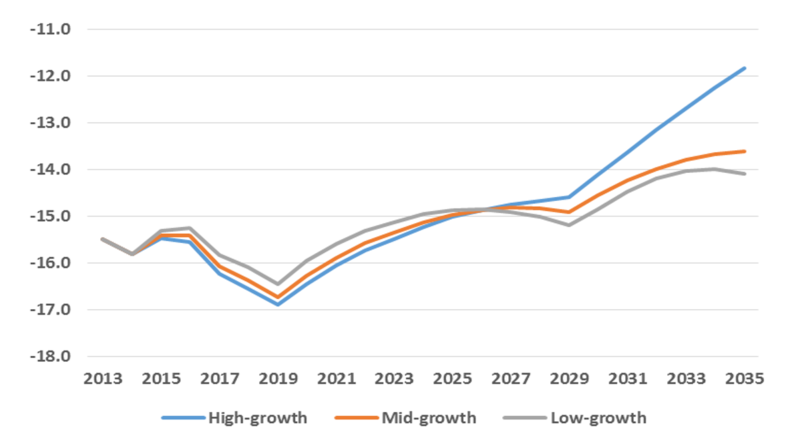 CGE models are a useful tool for comparing and analyzing alternative possible scenarios of future growth. ImpactECON staff have extensive experience developing long term growth scenarios using dynamic global models, with many of their basic scenarios used by others. Most recently the World Bank featured our baseline in its report on “Vietnam 2035”. Through the use of dynamic global CGE models, economic forecasts and historical data, ImpactECON can build a complete picture of the outlook of the global economy over time. Alternative scenarios (e.g., high and low growth) and policies can be incorporated into these scenarios enabling evaluation of their impact. These global scenarios can take account of macroeconomic forecasts of real GDP, population, trade, consumption, savings, labor force, educational attainment, investment etc, as well as expected changes in trade policies, domestic regulations, technological change, sector output and commodity demand. Historical data can also be used to examine past trends in productivity and preferences, thereby providing an additional source of information on possible future trends. 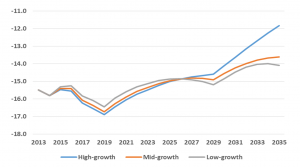 ImpactECON maintains a database of macroeconomic forecasts and sectoral growth for the development of these scenarios, while also working directly with clients to incorporate their expectations about potential future growth into these scenarios. Implications of these alternative scenarios on output, employment, wages, trade, and other economic variables can then be ascertained. A benefit of using a globally consistent, dynamic model to develop these global growth scenarios is that the model ensures that the growth scenarios are consistent both within and across sectors and countries. For example, on a global scale, imports cannot rise faster than exports or investment faster than savings. This additional consistency imposed by the CGE model provides clients with information about the strength of external forecasts, often illustrating areas of concern with underlying forecasts. Whether you require ‘what-if’ scenario development or an assessment of the impact of an economic policy over the long run, ImpactECON can help you meet your goals.